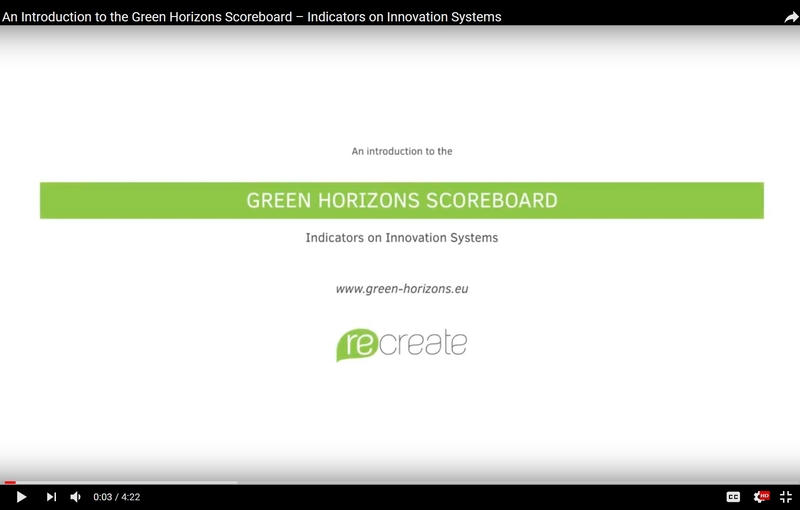 One of the key elements of the Research Network in Climate, Resource Efficiency and Raw Materials (RECREATE) project has been the development of the RECREATE Green Horizons Scoreboard (www.green-horizons.eu). In order to show the potential user the possibilities provided by the Scoreboard, RECREATE and Ecologic Institute produced an instructional video that takes the user through a number of exemplary analyses. The Scoreboard gives access to a unique combination of indicators on innovation systems for sustainability, covering all EU28 and additional European countries. On this basis, it allows for a number of analyses across countries, years and innovation systems.